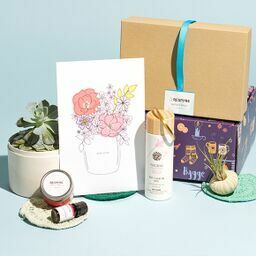 Get ahead of the masses and aim to be a trendsetter with these trendy subscription boxes, curated with the hottest and most popular products and brands on the market. Surprise your favorite millennial or trendsetter with the latest self-care subscription box or healthy snack box, delivered straight to their doorstep once a month. With popular products picked from savvy stores, we’ve rounded up a list of boxes that make great trendy gifts, and are sure to send an instant upgrade to you or your giftee. 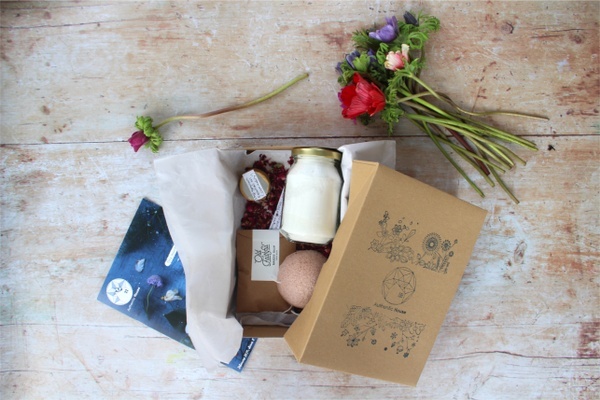 Read on to see what’s trending in the big wide world of monthly subscription gift boxes. What You’ll Get: Trendy Memo is for anyone who can benefit from an office makeover in a box. Each month’s box delivers fun and function with 4-6 stylish and on-trend products from high-quality pens and desk accessories to beauty or relaxation products and tasty snacks. What You’ll Get: Complete any look from head to beautifully designed toe (and finger) nails while expressing a unique sense of style with the Fearless Nail Art subscription. The Nailed It Box sends all the gear needed to create some fierce nail art, including stamping plates, holo powders, glitter, foils and decals. What You’ll Get: No matter what’s trending, music is always timeless, making VINYL MOON a great gift option. Noted as being one of the best gifts for music fans by Billboard, each month’s box delivers the latest volume of Vinyl Moon, featuring 10 new scene-worthy artists, curated by a team of music lovers, and pressed on high-quality color vinyl with custom-designed jackets and inserts. What You’ll Get: Definitely a go-to grab for any trendsetters, good quality zines are a coveted collection that can be pretty hard to get. Let Zine-o-Matic do the legwork and send 4-6 curated Indie zines from cities across the States. Delivered directly to the front door, each box guarantees beautifully created original content, along with a few surprises. What You’ll Get: Finding a suitable gift for a female entrepreneur is serious business, but one of a few trendy gifts that hits the mark is the Sparkle Hustle Grow subscription. Available in 2 levels, each subscription sends items focused on personal growth and productivity, like specially curated books and training tools that focus on getting down to business. What You’ll Get: Perfect for those who want to wear their fandom on their wrists, the Charm With Me Club sends a starter single or double-wrap bracelet and monthly high-quality, Pandora bracelet style charms designed for all the true blues. Each month’s box sends a themed charm from some favorite fandoms including Doctor Who, Tim Burton and Disney. What You’ll Get: The BUB CLUB SUB BOX is a quarterly subscription that treats you, your friends and pets in need, by sending exclusive high-quality Bub themed goodies while donating to cat shelters to fill food bowls with every purchase. Sending items like socks, stationery, art, jewelry and more, each month’s box helps Lil Bub further her philanthropic work for homeless cats. What You’ll Get: One of many trendy gifts great for those into simple, classic home goods is the Burlap Bag subscription. Delivering a limited-edition candle featuring a new scent each month and bearing a witty name, the hand-poured candle gives over 70 hours of burn time, adding sweetly scented shine to any home. 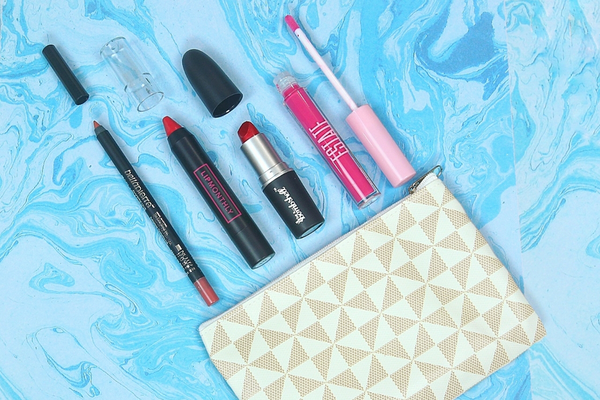 What You’ll Get: The LipMonthly Box is a fun makeup bag here to help everyone show off their perfect selfie-worthy pouts. Featuring 4-5 full-sized smile-worthy products each month, unbox a bit of everything, including lipstick, gloss, balms, liners, scrubs, pencils and crayons. What You’ll Get: A subscription box that’s great for all Pinterest-obsessed creative out there is the Craft in Style Box. Each month’s box arrives with everything needed to dive right into making a fun and trendy DIY craft, including materials, accessories, tools and step-by-steps. 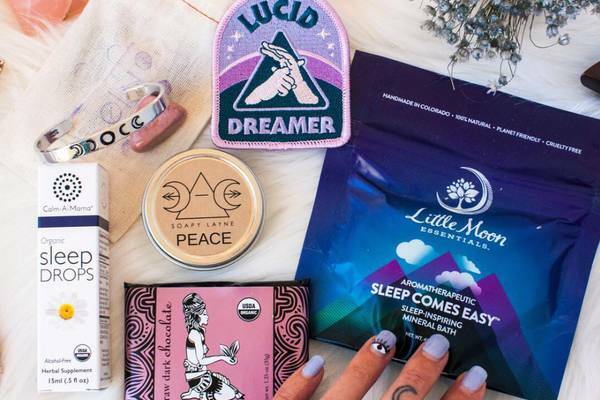 What You’ll Get: Sending a Spirit Bags subscription is synonymous with sending a spiritual infusion of healing magick. Intimately curated by a longtime clairvoyant, intuit and medicine bag maker, each month’s handmade enchanted leather satchel includes ethically-sourced crystals, herbs, jewelry, totems and more, all centered around a monthly spiritual theme. What You’ll Get: An affordable gift for lovers of trendy K-beauty products, the FaceTory monthly subscription box is available in 2 subscription levels, the FOUR-ever Fresh Kit and the SEVEN Lux Box. Curated by sheet mask junkies, each month’s box delivers 4 or 7 high-quality and innovative Korean sheet masks. What You’ll Get: Packed with trendy items that send an inspirational message, the iBbeautiful monthly subscription is perfect for any young teen or tween girl. Sending 4-6 fun items like trendy school gear, jewelry, age-appropriate makeup and skincare products, each month’s box aims to deliver the message that everyone is uniquely beautiful. What You’ll Get: Great for those on a weight-loss mission or giving the popular keto diet their all, The Keto Box is loaded with 7-10 protein-packed snacks. Curated by a team of ketogenic dieters, each month’s box focuses on delivering extra motivation through delicious diet-approved sweet and savory keto food and drink items. Want to keep up with what’s trending? Browse our guides below for more great subscription boxes.